Multipolygons are used to create concave shapes. A multipolygon is just a list of vertices that ExtremePhysics will use to create multiple convex polygons. The vertices should be defined in clockwise order and should not self-intersect. 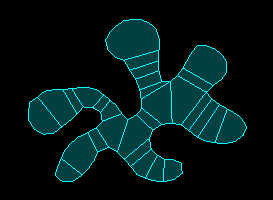 Using the multipolygon is a bit more difficult, because there are actually multiple polygons.